At the Monday meeting of the Associated Students of Whittier College (ASWC) Senate on Feb. 4, Senators voted on whether or not to fast-track a bill that would move all allocated Senate funds, carried over from previous years and currently stored in reserve accounts, into an ASWC Senate reserve account. This controversial bill would result in over $100,000 being removed from individual governing bodies’ respective reserve accounts, and being placed into the singular ASWC Senate reserve account. Although the bill would affect all on-campus organizations, it would primarily affect Media Council and Program Board, who the bulk of ASWC funding goes to. The proposal prompted an hourlong discussion, started by Interim Media Council Representative fourth-year Astra Yatrousssis, who felt that the bill contradicted prior agreements reached between Senate and Media Council regarding the large sum of funds currently stored in Media Council’s reserve account. “Our Senate Executive Board [(E-Board)] has worked really hard to come up with a solution about our reserve accounts that should be great for both Program Board and Media Council. I support the bill because I do not think Media Council and Program Board should be funded differently,” said Program Board Senate Representative fourth-year Jessica Hernandez in an email to the Quaker Campus (QC). 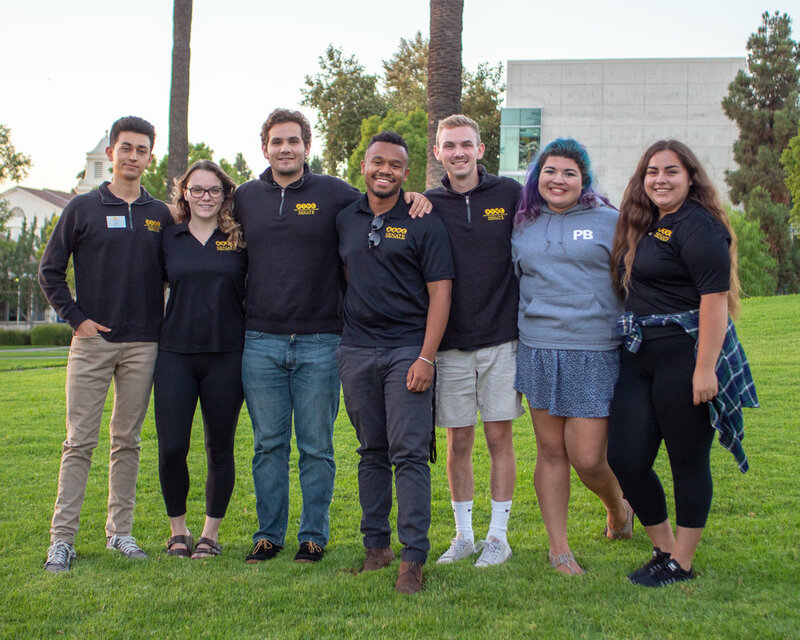 “Program Board’s funding comes from student body fees and same goes for Media Council, so I do not see a problem with the money being channeled throughout student government and then allocated to us.” However, the Bill was proposed by the ASWC E-Board; Program Board has a representative seat on E-Board, and Media Council does not. The proposal made in the Bill — to transfer funding from reserve accounts into the ASWC Senate reserve account — was proposed early in Fall semester, albeit informally. Yatroussis claims that Media Council President Lyla Matar met with Senate’s E-Board to discuss the reserve account, which resulted in Senate agreeing to leave a portion of the funding in the reserve account at the end of the year. “Media Council was under the impression that we would be able to retain $35,000 in our reserves from year to year; however, this is not mentioned in the bill,” the Whittier College Sports Network (WCSN) wrote in an official statement emailed to the QC. This understanding has been brought to the attention of E-Board, and conversations about a cap on the reserve accounts are currently ongoing. No organizations were informed of the bill’s content prior to its introduction at last Monday’s Senate meeting. If Senate’s vote to fast- track the bill had passed, they would have voted on the bill at the meeting, before any of organizations potentially affected by the bill were consulted. Third-year Treasurer Jesus Delgado explained that there is no requirement for Senate to speak to constituents prior to proposing a bill. “[ASWC Senators] are not required to go ahead and get everyone’s approval before proposing a bill,” said Delgado. “There was no need to consult Media Council if the bill was not going to kick into effect until after voting.” When asked if Senate should have reached out to Media Council out of courtesy, despite not being required to do so, Delgado declined to comment. Delgado stated that the bill would also include an increase in Media Council and Program Board’s yearly allotted budget. Delgado estimated that Media Council’s budget would rise from its current budget of $46,000 to roughly $50,139, though he will not know the exact numbers until the number of students attending Whittier this semester is properly accounted for, a process that usually takes about three weeks. This increase was proposed to offset the detriment of previous cuts, and would amount to roughly a 9.17 percent increase in funding. According to Delgado, Senate intends to use the funds acquired from the reserve accounts to pay for a women’s center on campus, the food pantry, and an emergency fund made to assist students going through unusual hardship. Currently, the funds in the reserve account are primarily used by Media Council to supplement their budget in order to pay for equipment purchases and repairs. “Our reserves are vital to purchase equipment that our yearly budget may not cover or for years when a substantial part of our equipment becomes either worn out or obsolete,” wrote WCSN. ASWC Senate will continue to discuss this bill at next week’s meeting. If they feel there is nothing else to discuss, they may fast-track the bill and vote. If they feel that there is more to discuss, there will be a final reading two meetings from now. Senate meetings take place in Villalobos Hall at 7 p.m. on Monday nights. All students who wish to attend are invited and encouraged to speak up, should they have something to say.